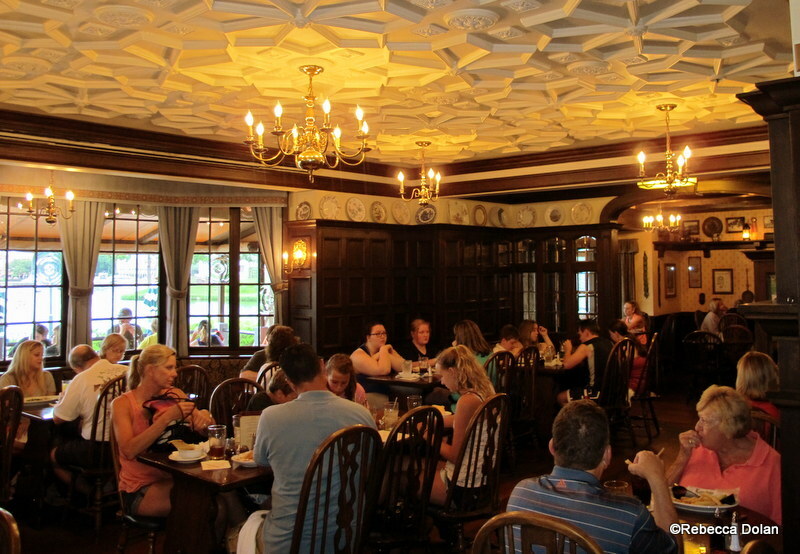 The main dining room features heavy dark woods in every direction. Plus there are homey details like decorative plates lining the walls. With the right lighting, the ceiling moldings are really a stand out. The main dining room is connected to the pub. If you’re feeling outdoorsy, consider dining on the patio. And if you can score an Advance Dining Reservation for IllumiNations time? 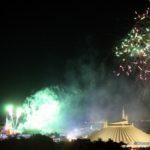 Request to sit outside with a **fireworks view** so you can have a World Showcase Lagoon-side view of the fireworks and laser show! You won’t get any guarantees from the host(ess), but it’s worth the ask! Seating in the Pub is first come, first served, so no ADR required. But it can get crowded in there, and you might have a lengthy wait, so brace yourself. 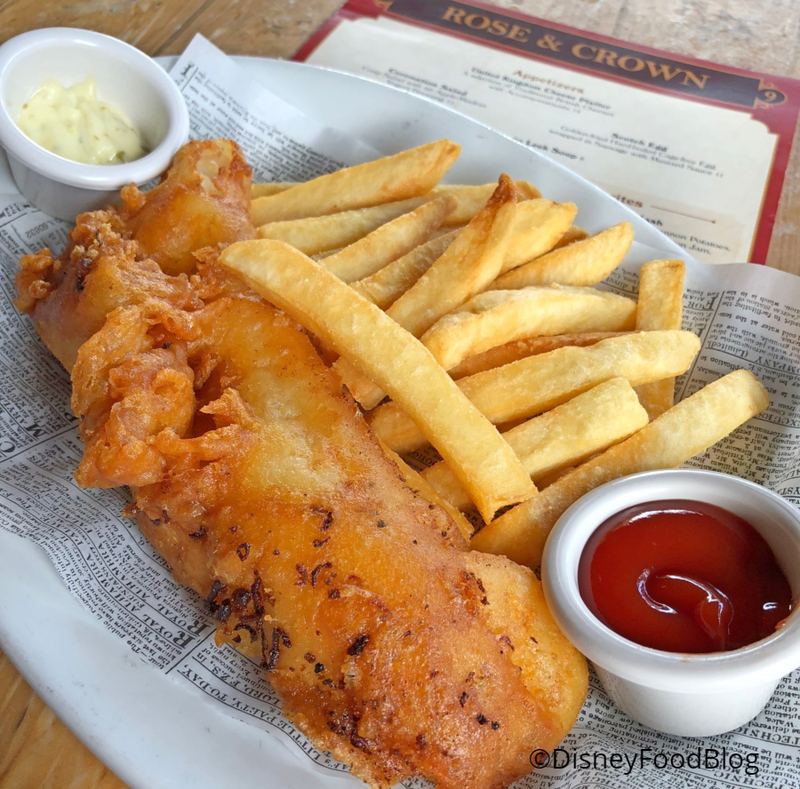 If all else fails and you must have some fish and chips, the Yorkshire County Fish and Chips quick service window is to the left of Rose & Crown and serves up super tasty bites. 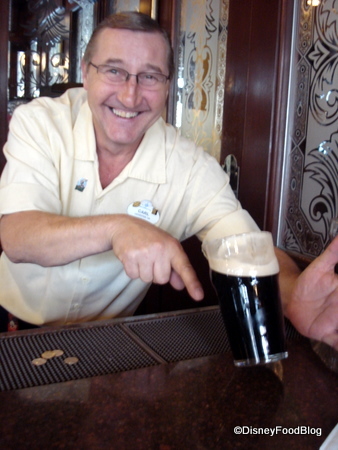 If you do stop into the Pub, be sure to say hello to Carl! He’s a beloved Rose & Crown Pub institution and a true Disney legend! 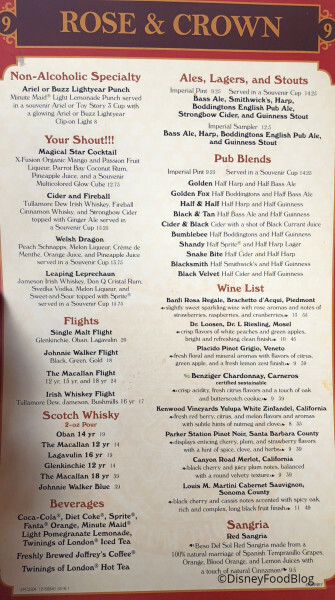 The menu at Rose & Crown is predictably British, and it all starts with the Drink Menu. Ales, lagers, stouts, and whiskey reign. There’s also a wine list and some pub blends — plus non-alcoholic options. 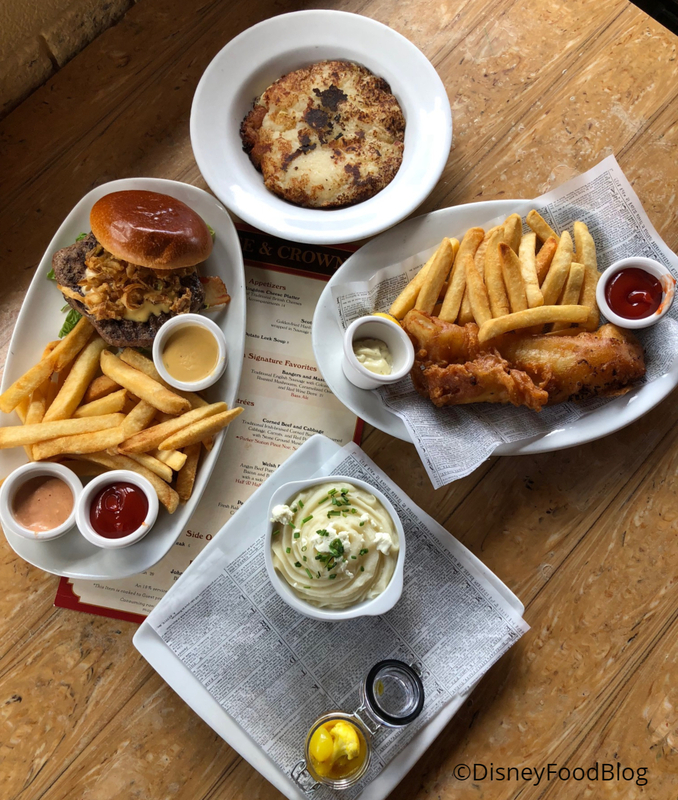 The Menu features tons of British classics: Scotch Egg, Fish and Chips, Corned Beef and Cabbage — the list goes on. 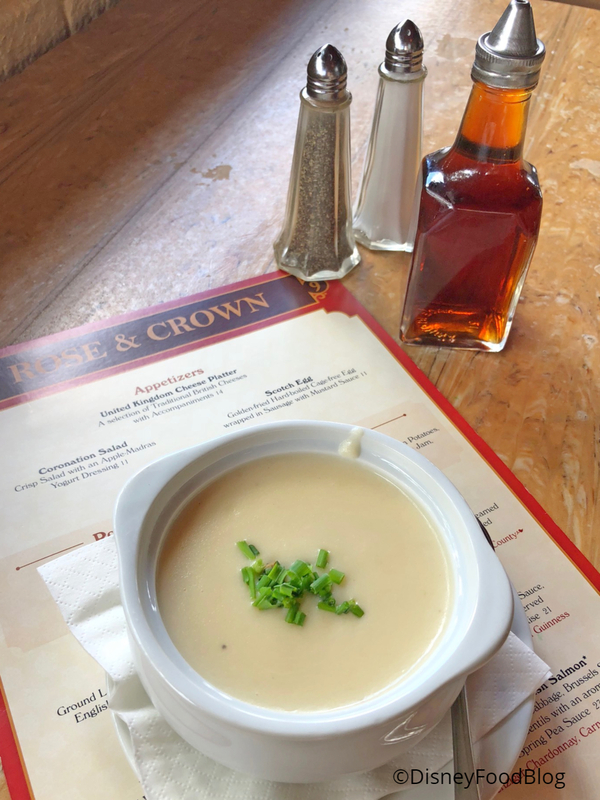 So if you’ve always wanted to try one of these dishes (or you’ve already got a favorite), Rose & Crown is the place for you! This soup is thick and rich with subtle onion flavor from the leeks. It’s not the best on a hot Florida day, but on a rainy or chilly day it’s ideal. 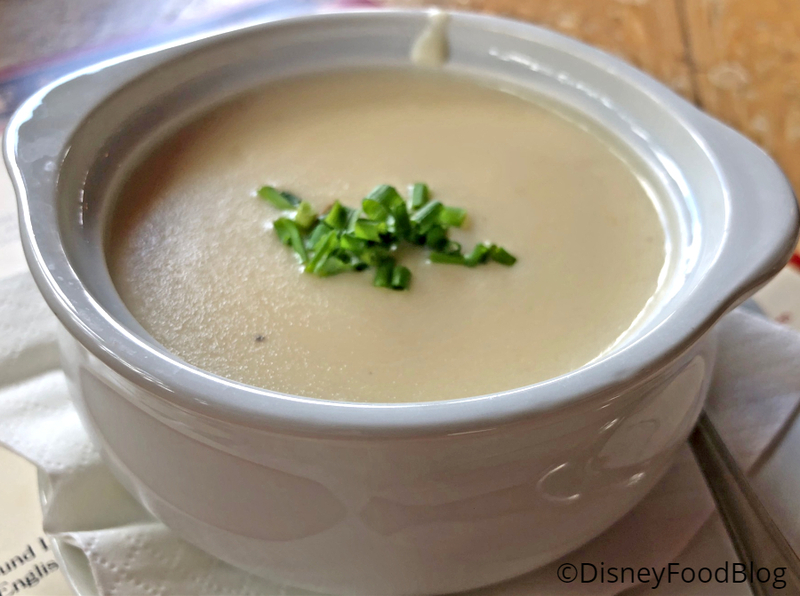 It’s really one of my favorite soups in WDW. For the entree round, I had to go big, trying some classics (with a twist, in some cases!). 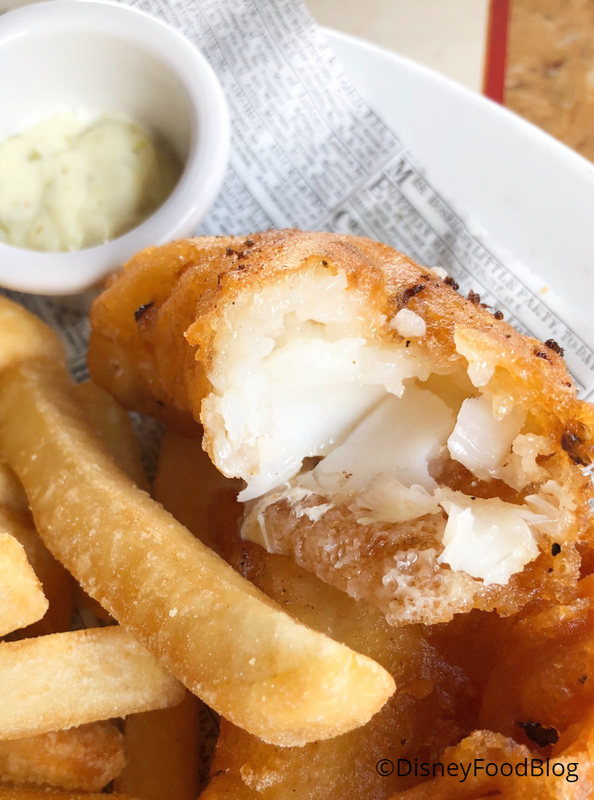 The Fish and Chips is insanely popular here, and it deserves its reputation for greatness! Served up golden brown with lots of crispy bits to crunch on, the fish is crazy delicious. And because they know what they’re doing here, the fish is also moist inside! And can we not forget those awesome chips, please? They’re thick, potato gold. I tried the new-ish Vegetable Cottage Pie (we hear you, our intrepid vegetarian readers!) 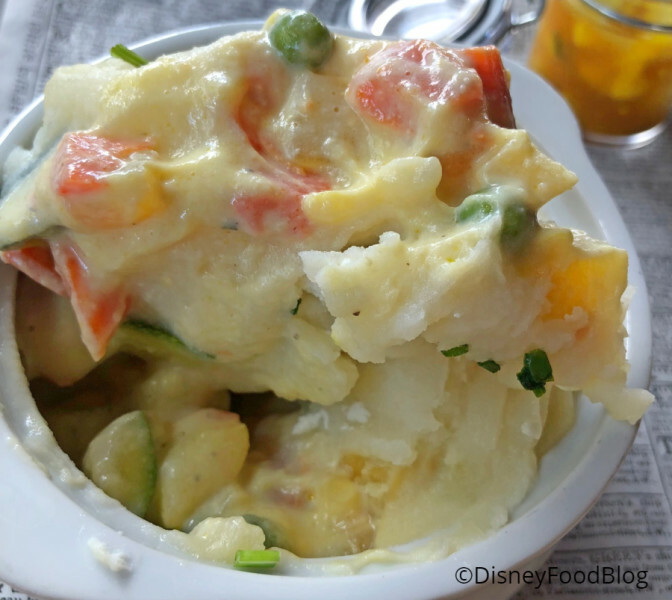 which is packed with seasonal vegetables in a cauliflower cream sauce. 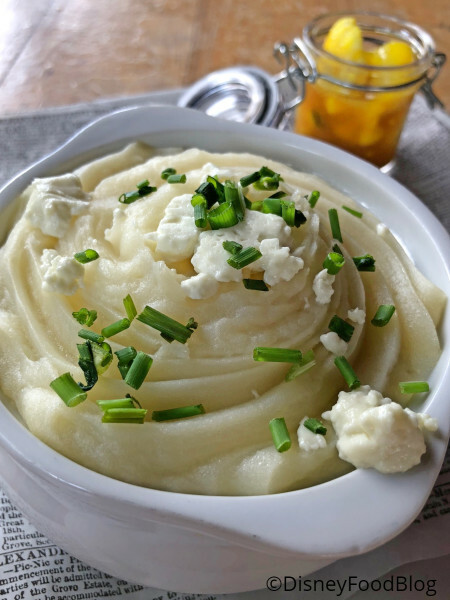 The topping is smooth mashed potatoes and some goat cheese. Chives bring some color and a bit more flavor. 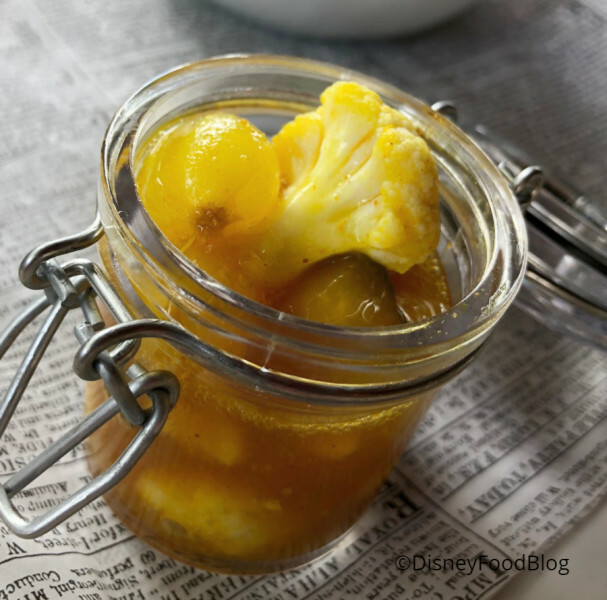 Alongside the Vegetable Cottage Pie is a small jar of piccalilli. This English-style pickle wasn’t really my thing, but it provided a burst of color and flavor contrast to the otherwise kind of one-note pie. The Welsh Pub Burger comes with beer cheese sauce, so you know I had to get it. This is a tassssssty burger, y’all (I mean, chaps). It even made our list of Best Burgers in Disney World! 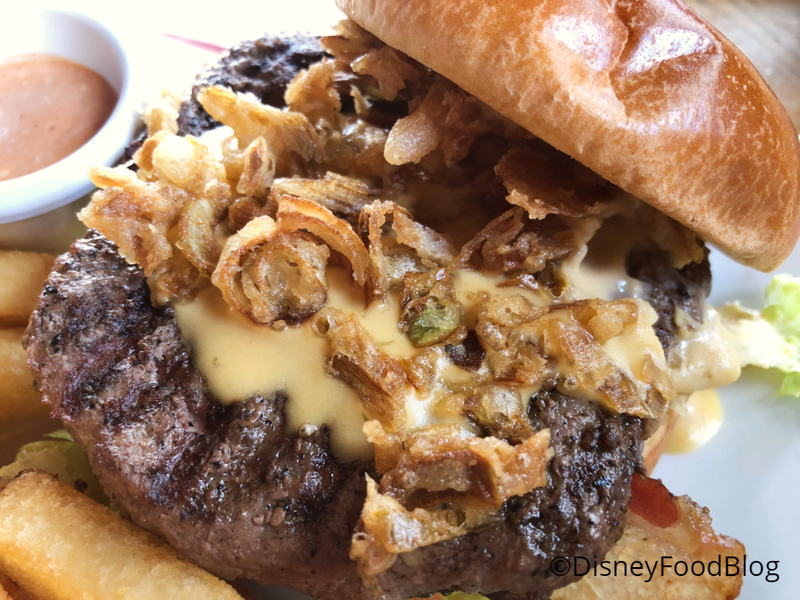 The Angus beef patty is cooked to order and topped with the beer cheese sauce and beer-battered leeks. The Branston Mayonnaise is sweet chili flavored, so it’s got a great little punch of flavor, too. I ordered Bubble and Squeak on the side. 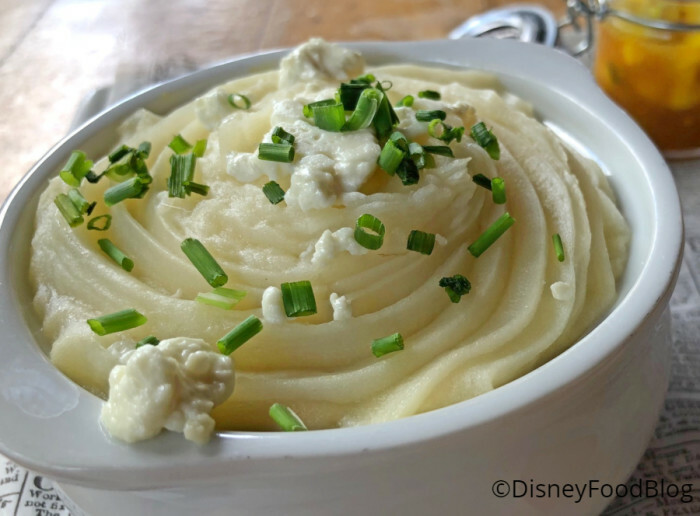 Traditionally this dish is made with potatoes and cabbage, but at Rose & Crown, there’s definitely potatoes, onions, and BACON — making this a great stick-to-your-ribs kind of dish. It isn’t the prettiest plate of food, I know, but there’s a lot of great flavor for sure! 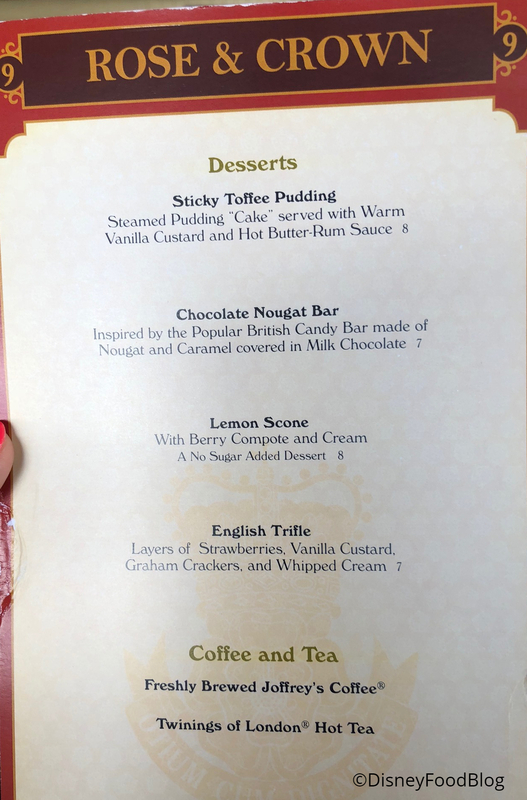 Desserts at Rose & Crown follow the theme of classic British eats with Sticky Toffee Pudding, a Chocolate Nougat Bar, a Lemon Scone, and an English Trifle. You had me at Sticky Toffee Pudding. With extra hot buttered rum sauce. 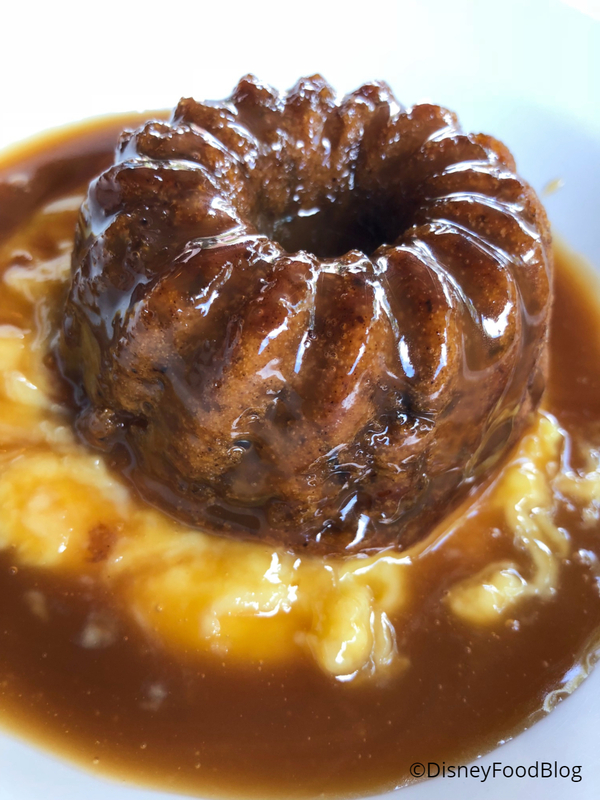 The steamed cake (pudding in Brit speak) is served atop vanilla custard. And this beauty is stunning. 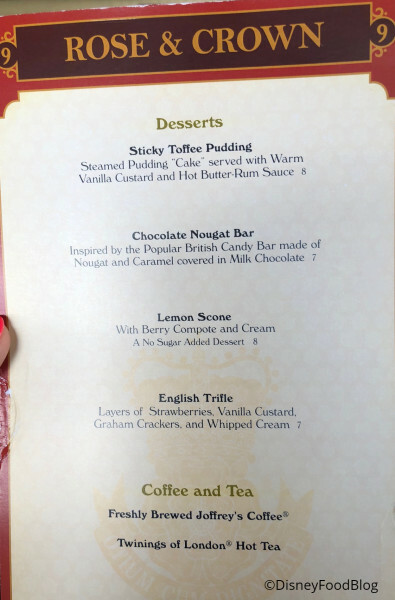 The English Trifle was a bit of a disappointment, to be honest. 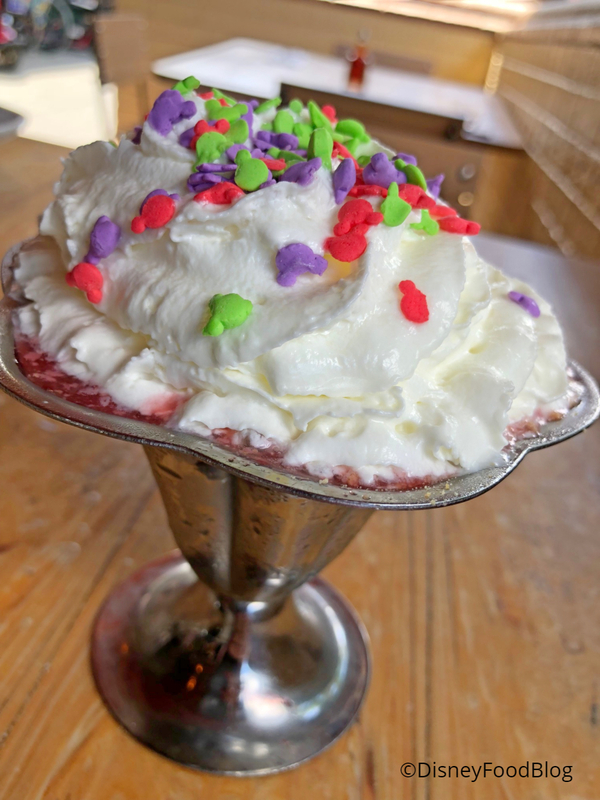 The components all sound great: strawberries, vanilla custard, graham crackers, whipped cream. But why wouldn’t you use a glass or bowl that shows the layers? And while it tasted OK, it was kind of gooey mess. 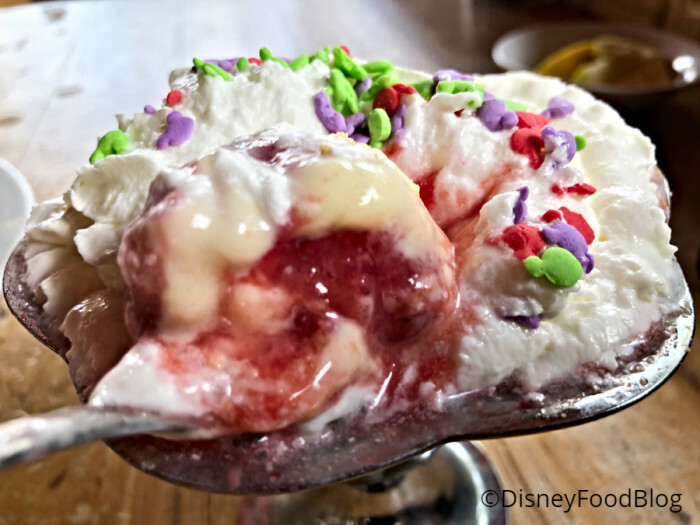 If you’ve got a picky eater, they’ll probably be okay with this one. Ooh, that’s a meal, folks. 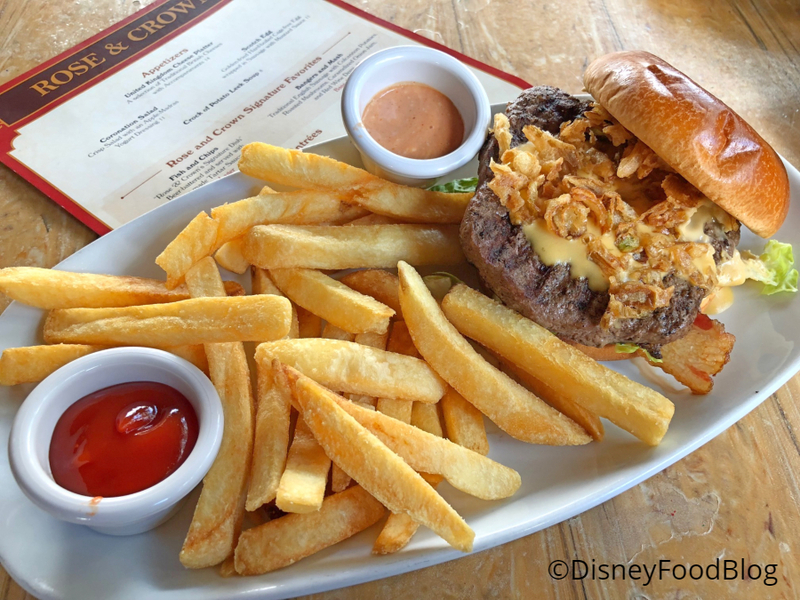 So many good things to eat on the menu at Rose & Crown, you’ll have to go back again and again to try them all. And you’ll want to because the overall vibe here is so comfortable and warm, it’s like dining at your gran’s. You love classic British fare and gotta have some while on vacay! 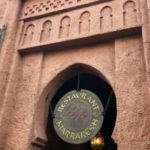 You want some consistently tasty table service while touring the World Showcase. 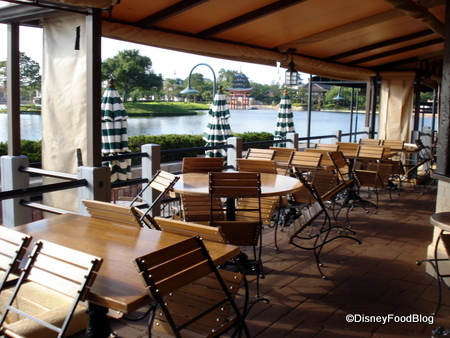 You are hoping to score IllumiNations viewing from the patio. British cuisine just isn’t your thing. You prefer to dine on slightly more unusual fare, like Spice Road Table or Tokyo Dining. 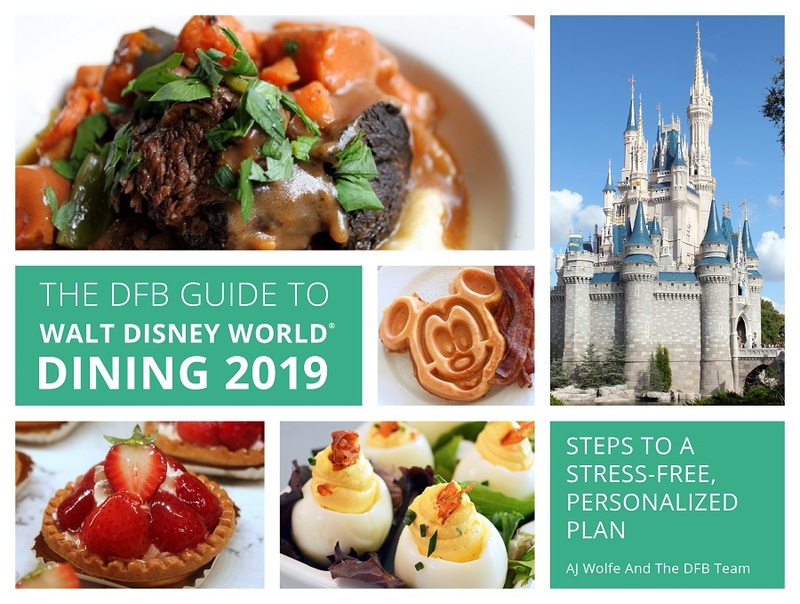 You’ve got too many attractions to enjoy and can only squeeze in quick service eats. 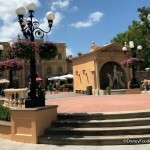 With so many excellent places to dine in Epcot, you might have a hard time deciding where to go. 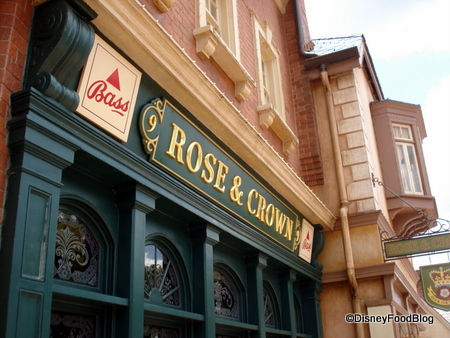 But Rose & Crown makes a strong case for a valuable ADR every. single. time. The food is always done perfectly, and the atmosphere is cozy. We’ll be back. What’s your favorite Rose & Crown food memory? Tell us about it in the comments! « Five Things You HAVE to Eat in Disney World’s Toy Story Land! Rose and Crown was a regular stop for my family, until they removed the Steak from the menu. 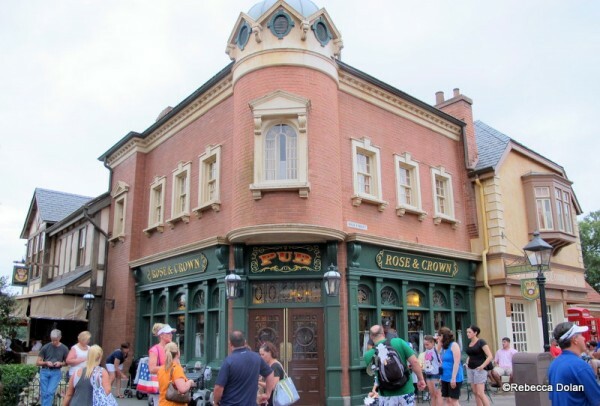 I was told that management wanted to make Rose and Crown more authentic to what you would see in a British Pub. In my opinion it was a big disappointment. 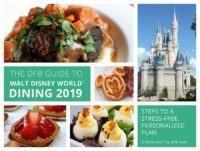 I have 3 trips planned to visit Disney World in the next 12 months and I will not be eating at the Rose and Crown during any of the trips. It’s on my next trip list! 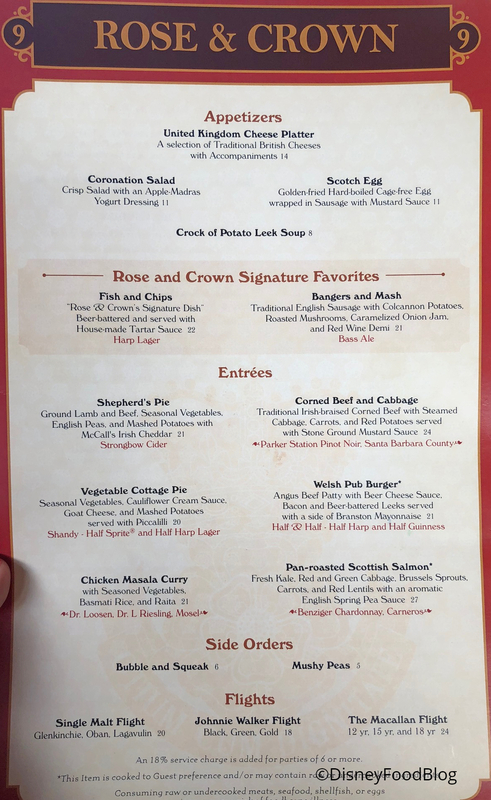 it sounds like Rose and Crown is doing exactly what they should in keeping their menu authentic to their country. It actually makes me want to go there more. You’ll have no problem finding steaks elsewhere. 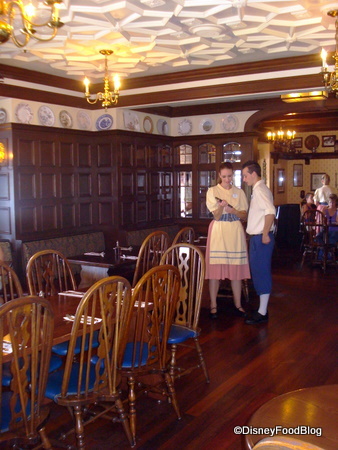 We lived in England for six years and have been to EPCOT something like 200 times and we’ve never been in this place. 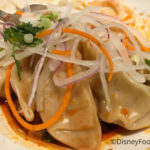 Spice Road Table and Tokyo Dining aren’t unusual, there just good. A pint does sound good. Had one with lunch for many of those six years in the pub we had lunch in. We are big fans of the Scotch egg, but not of much else on the current menu. We have been going to the Rose and Crown for dinner nearly every trip, but have been disappointed by the current menu, especially the Fish and Chips. The portion has really shrunk! 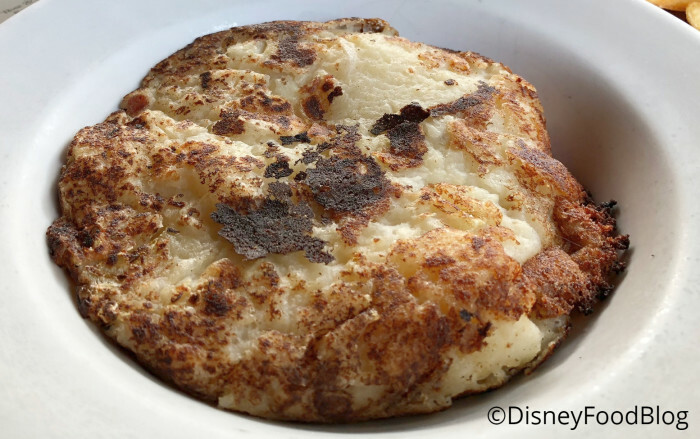 I have found that they are better, larger, hotter and less expensive from the take-out window. 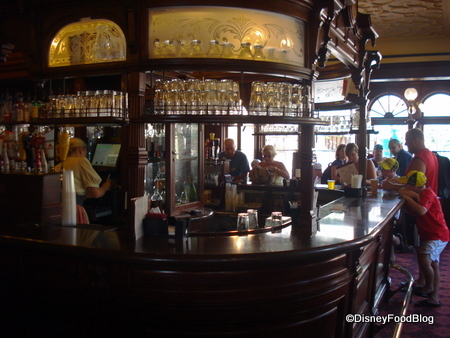 However, I’m a big fan of the pub side of the R&C – a pint of Guinness and a Scotch Egg! Have never eaten in the pub, but my family and I always stop at the take-out window for fish & chips, and we LOVE them. It’s a must-do every time we visit. 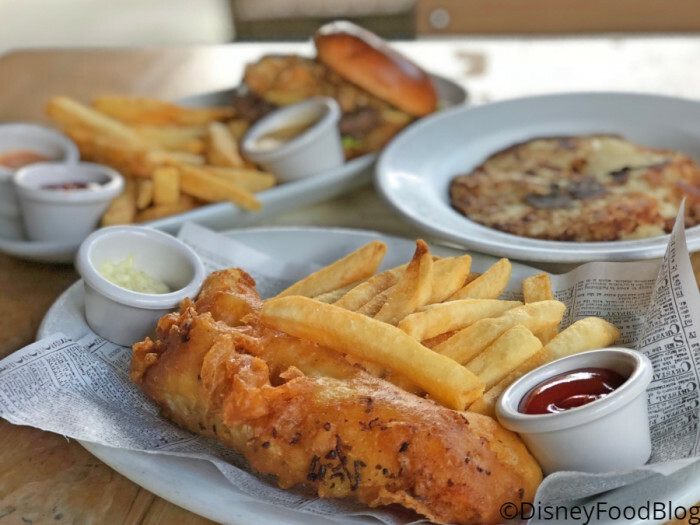 The fish & chips plus a Black & Tan from Carl are WDW staples for us! Have always enjoyed it here but lately has not been up to par. And have I have to disagree with the review about the french fries, they are about as cheap and bad as it could get. Disney can do better, and they use to. We just had lunch here. Bangers and mash were good. The potato leek soup great, the cheese plate is wonderful! We too, miss the steak and fish. We went in August and i5 had been removed from the menu. It was a sad day! Was my favourite restaurant for that menu item. Won’t be going back.